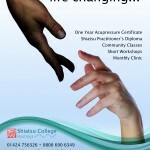 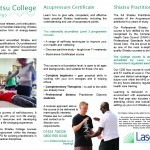 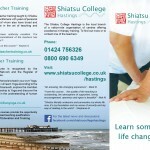 Our close relationship with the Shiatsu College Hastings continues into 2016 and we have produced a range of marketing and publicity material to promote their courses in Shiatsu, Acupressure, Qigong Teacher Training, Meridian Yoga Teacher Training, and various workshops and classes in the Hastings and St Leonards area. 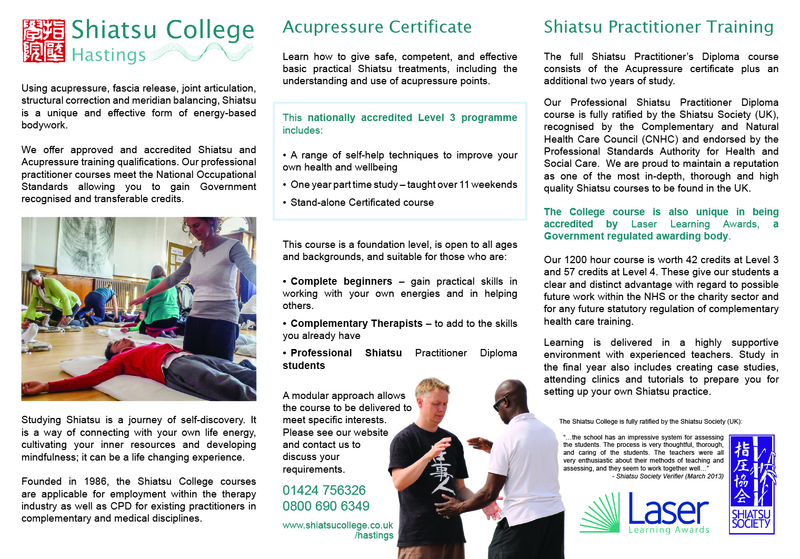 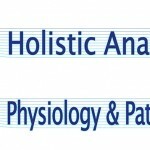 We redesigned their logo with the standard Shiatsu College font but kept the wave motif, this time inspired by the artwork we created for their online anatomy, physiology and pathology course. 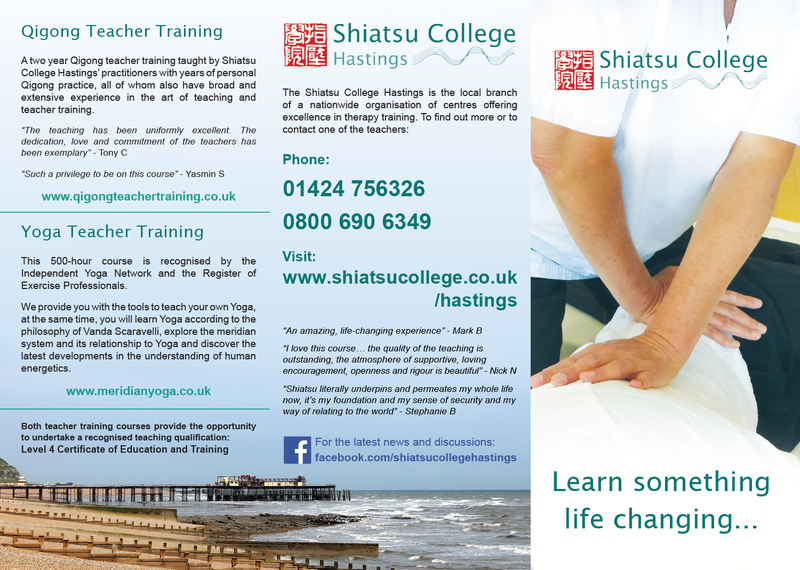 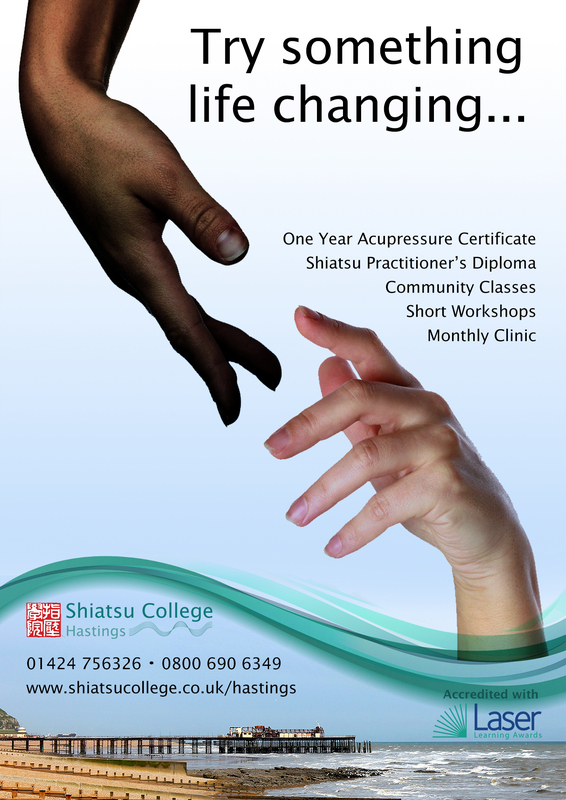 The logo is paired with an image of Hastings Pier that evokes the local feel of the branch and these have been developed onto a poster as well as a re-designed leaflet that showcases what the Shiatsu College Hastings has to offer.